Trauma-informed yoga: We could all be a bit more in-the-know about trauma. Those of us who practice yoga don’t need to be told of the healing impact it has on body, mind, and spirit. Now, thanks to the work of people such as trauma specialist Bessel van der Kolk and Dr. Rebecca Epstein, executive director of the Georgetown Law Center on Poverty and Inequality yoga is more highly regarded for its positive impact on psycho-social wellness than ever! In the past few years, there has been a rise in what is called “trauma-informed” or “trauma-sensitive” yoga. These unique yoga classes tend to have a focus on serving people of a particular population: veterans, sexual and domestic violence survivors, and those who have experienced racial and/or ethnic discrimination are but a few examples. This has left the broader yoga community asking, “But isn’t all yoga trauma-informed?” The answer, like so many pertaining to yoga, is yes. And no. Maybe. It depends. Dr. Van der Kolk says in this WBUR interview, “Trauma is an experience that overwhelms your capacity to cope. People feel helpless, overwhelmed, scared, horrified; at the core of trauma is horror.” We have all experienced trauma to some degree. 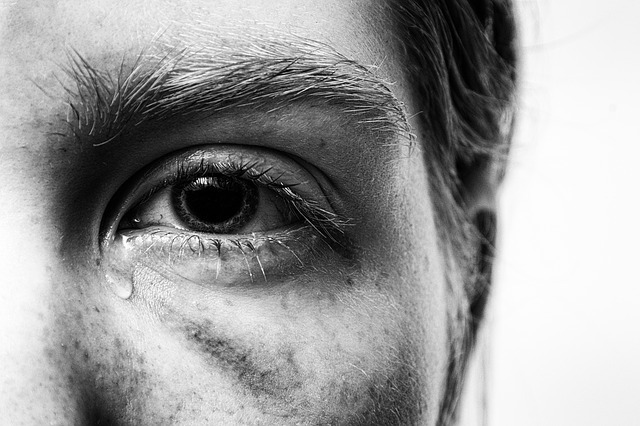 Advances in psychology and neurology have helped us understand trauma. However, trauma is lodged in our bodies. Therefore, it requires a body-centered approach for healing. Enter yoga. Treating trauma is outside of the realm of practice for the average yoga teacher. Most of Van der Kolk and Epstein’s research is on practices specifically designed for trauma survivors and performed by yoga teachers who are also mental health clinicians. However, many yoga teachers are aware that most, if not all, of their students have experienced some form of trauma. In an effort to help, or at the very least, do no further harm, yoga teachers are seeking out trainings to educate themselves to the needs of their students with regards to trauma. Before I studied yoga at Eternal Health, I tried a number of different methods of practicing, and later teaching, yoga. I was first exposed to yoga as a ten-year-old paging through her mom’s Redbook Magazine. “Three yoga poses to tone your tush and tummy!” As I explored and deepened my practice over the years, time and time again I encountered yoga as a great way to “stay in shape”. It wasn’t until much later that I would ask myself exactly what that “shape” was that I was trying to stay in and if it was really healthy. I met and practiced under many yoga teachers throughout my late teens and early twenties. Most of them were very nice people teaching the best class they knew how to teach. Looking back, what I recall of these classes is that they were very focused on yoga, not as a path to inner peace, but as a method for disciplining the body and obtaining a particular body shape that our culture has deemed to be acceptable, desirable, and enviable. I recently began attending a trauma-informed yoga class near my home. The yoga teacher who guided us through our practice is also a professional who works with trauma survivors every day. In many ways, I found the class itself was similar to an Eternal Health Yoga class. When I walked into the studio, I was greeted by the yoga teacher. She showed me where the bathroom was and asked if I would like to borrow a mat, blocks, or blankets. I put my mat on the floor and sat down. The teacher informed the class that the lights would be on throughout our practice so we would be able to see our surroundings. She explained that she would be locking the door from the outside so that we could walk out of the studio if we needed to, but no one would be able to walk in. The room was quiet and the music soft. If there was an unexpected loud noise- in this case, the base of a too-loud car stereo- she paused and explained what the noise was before resuming the practice. The poses were either called by their translated English names, or they were called a made-up name. No hands-on adjustments were given. The practice itself was very gentle. The biggest difference between the trauma-informed yoga class and any other class I have taken was that there was more conversation during the practice. As we stretched, we checked in with our emotions, talked about how our bodies felt in different poses, and shared three things that we were grateful for that had happened to us that day. The teacher stressed that our practice should feel good, and that if something did not feel good, we could give ourselves permission not to do it. She continuously reminded us that we were in control of our practice. The teacher was also very mindful of her language. Her words were inclusive and empowering. She also refrained from using body-shaming words and phrases such as the ones I encountered in my youth. We can all become trauma-informed! 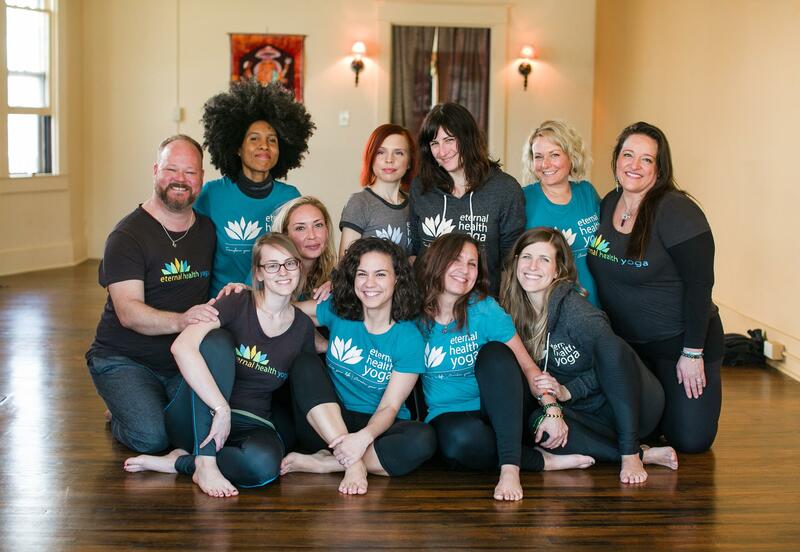 One of the most important things I learned during my 200-hour teacher training at Eternal Health Yoga was how to be aware of the emotional and physical needs of a diverse groups of individuals. Yoga teachers can use their words and consensual touch to help students not only deepen their practice, but also their awareness of their bodies. One would think that all yoga teachers would receive such instruction, but sadly that is not the case. In yoga or any profession, when our words, hands, and hearts are not used for helping, they will be used for hurting. An ignorant teacher may not intend to harm his or her students, but when we are in leadership positions, good intentions are not enough. Our impact is what matters. Van der Kolk, Bessel. The Body Keeps the Score. New York, Penguin, 2014. Join us for our 200-Hour Teacher Training Information Session on Saturday, May 11, 2019 and see if our program is right for you! Still unsure about enrolling in a yoga teacher training program? Attend our teacher training information session and see if our program is right for you!Our free information session will allow you to meet the instructors as well as past graduates, ask questions, and learn what our program has to offer you! For more information, please contact D’Arci at 502-424-3164 or register here.